The Vito & Vito Show Blog: Welcome to The Vito and Vito Show Blog! Welcome to The Vito and Vito Show Blog! Welcome ladies and gentlemen! 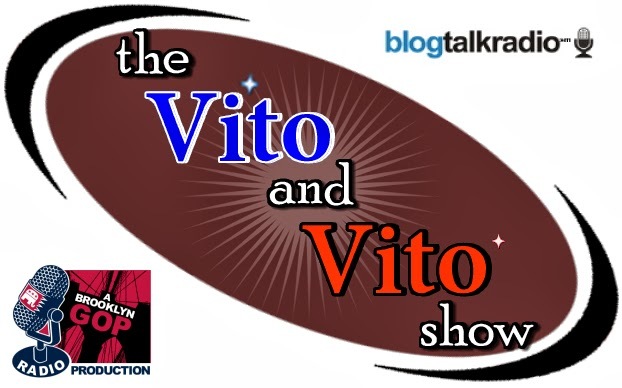 I would like to thank you all for checking out the blog and for listening to The Vito and Vito Show! We are dealing with a few growing pains, but, sooner than later, we will perfect our show. One step at a time, folks. I, as well as my co-host, Vito Palmeri, and others will be posting more on this blog, as well as on Brooklyn GOP Radio's show blog - so check back often!